Specifications: Material Used - Stainless Steel. This can shaped Sensor Dustbin automatically opens and closes by sensing movements and with its cute shape like a pop can, no one will mind that it is a trash can and it would look cool no matter where you put it in your home. The company is engaged in supplying Sensor based electronic Dustbins made in S.S to its clients. Our clients avail from us Push Cover Bin that are widely demanded in the market for their resistance to corrosion and durability. 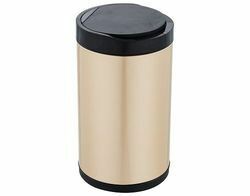 These dustbins are procured from reliable sources, who make use of superior quality raw material to make these dustbins. 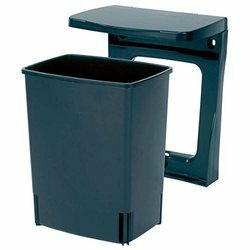 Furthermore, these dustbins have sensors and are available in diverse sizes and shapes to cater to the different requirements of the clients. Room Groom is India's no. 1 brand in the home décor & home care segments and is credited with bringing some truly unique international products like sensor dustbins, sensor soap dispensers, sensor pet bowls & sensor containers ( globe ) and several other home accessories to the Indian market. Reed Relais Electronic India Lmt.